In May and June the Big Salmon River and Pollett River smolt wheels were in full effect. However, this Spring brought copious amounts of rain that caused us many problems, mostly with not being able to fish the gear. High water levels were too dangerous for staff and it also brought down lots of woody and organic debris from higher in the system, jamming the wheels or taking out nets so, unfortunately we missed some fishing days. The Pollett River caught over 120 smolts in the smolt wheel/fyke nets, and the Big Salmon River saw over 1,500 smolts caught in the smolt wheel. Both wheels and the nets on the Pollett River were uninstalled mid June. Also in June, a counting fence was installed on the Little River but much like the Big Salmon and Pollett Rivers, the fence was delayed a number of weeks before installation as high water would have washed the fence out multiple times. The fence is a monitoring tool like the fyke nets or smolt wheel, and is used to capture migrating inner Bay of Fundy Atlantic salmon heading downstream to sea. In addition, it allows the assessment of degree of concern warranted by the invasive species smallmouth bass; and also gives us improved understanding of the status of brook trout, eel and sea lamprey in terms of improved fish passages since the opening of the causeway gates. The Petitcodiac fish-net trap was installed in May as well but has since been disassembled and fyke nets are fishing in it’s place. With encroaching silt usually in July and heavy algae that takes down the trap, it is switched out to fyke nets with minimal delays and will fish now until the end of October, 5 days a week. 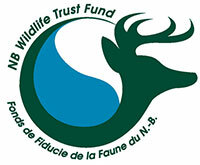 Located at the head of tide in Salisbury, NB, the trap monitors fish moving upstream such as gaspereau, perch, white suckers,smallmouth bass, tomcod, flounder, chain pickerel, atlantic salmon, american eel and striped bass. As lead organization on the trap,we have been monitoring the Petitcodiac river since the opening of the causeway gates in 2010 and this allows us to gather baseline data on incoming fish species to document absence/presence of species, changes in the river/environment and improvement in fish passage. In May and June, surveys of the endangered Wood turtle were conducted in the Petitcodiac watershed. Four staff were trained in Gagetown in turtle surveys and with that expertise knowledge we hope to get lots preliminary data and monitoring done on this species. As of the first of July, senior staff have been training new hires in beach seining. Seining is used for a pilot study on Striped bass to support ongoing efforts to determine basin of origin using otolith microchemistry. Knowing the spawning behaviour of Striped bass in the Petitcodiac aids in understanding changes in the population dynamics of this species in response to restored fish passage/tidal exchange on the Petitcodiac, climate change and direct human impacts such as industrial development of tidal energy resources within the Bay of Fundy located between their known spawning area in Nova Scotia (Stewiacke) and the Petitcodiac. This activity is conducted along spots on the Petitcodiac River and in the mouth of the river down to Chignecto Bay at Johnson Mills in Dorchester, NB. This activity will continue into late August. Also since the beginning of July, 2 staff have been conducting RGA’s and RSAT surveys in the Tobique river(Rapid Geomorphic Assessments and Rapid Stream Surveys). When the surveys are completed, those and habitat surveys will be conducted in the North River and other parts of the Petitcodiac watershed. Along with the listed above, next in the season will see electro-fishing, water sampling, CABIN, snorkel surveys and a possible trip to Grand Manan to tag our conservation sea cage fish that will be ready for release this Fall.